We're lucky to have Cape Air as our "hometown" airline! Apparently, Conde Nast Traveler readers think so, too. In a recent poll, they said: CapeAir is one of America's 10 Best Airlines. For a quick, scenic flight from Boston or NYC to Cape Cod and the Islands, this friendly, regional airline is definitely the way to fly! No matter where you're coming from, whether in the US or abroad, it's usually pretty easy to find a reasonably priced flight to Boston's Logan International Airport. 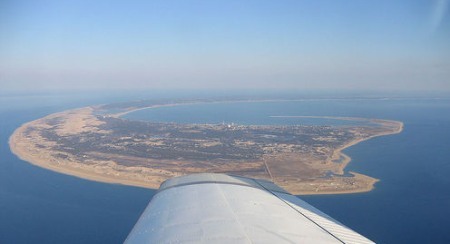 Once you've landed in Boston, then a quick flight on CapeAir will bring you to Cape Cod and the Islands. TRAVEL TIP: If all seats are sold out on CapeAir for your dates of travel, there's another option: JetBlue airlines. They have seasonal service (direct and connecting) from NYC to Cape Cod, too.